111 Tanner St., Lowell Ma. This is a pre-move-in shot from the back of the space to the front. I'm surprised we even needed a panorama stitched together. This is the first cleanspace/lounge area. Quite spacious. Starting to see the transition to the dirtyspace. 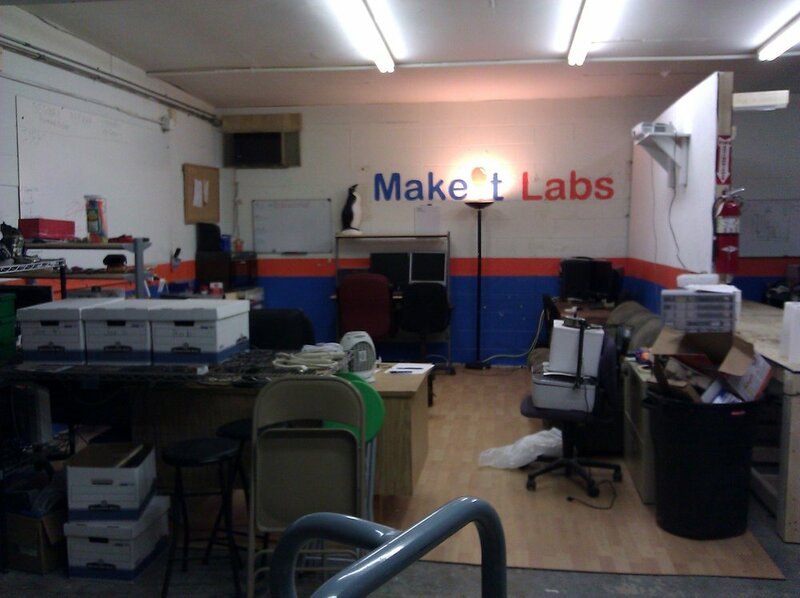 Our single couch was only separated from the grinding/welding bench by a pegboard and drywall divider. Look at our vast array of specialized tools and equipment! This picture alone is proof that the concept and people are what make us great, not the stuff we have (it does help though).